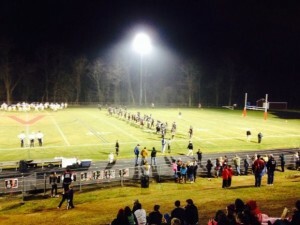 The Valley Regional/Old Lyme football team advanced to an 11-0 undefeated record and ended a spectacular season as the top seeds in the Connecticut Interscholastic Athletic Conference (CIAC) Class M division with a 48-0 win over Haddam-Killingworth Tuesday. The Pequot Football Conference South Division game at the H-K field saw Old Lyme senior Phil Cohen throw two touchdown passes for the Warriors. View a video of the Warriors previous game against Gilbert-NorthWestern at this link. Letters: Stuff-a-Cruiser Fundraiser – Thank You Essex! Members of the Essex Community Fund recently had an opportunity to work with Russ Gingras and Todd Belcort of the Essex Police Department at the Stuff-a-Cruiser event for the Shoreline Soup Kitchen and Pantries. Our job was small, yet with a large impact. We asked Colonial Market shoppers if they would help stuff the cruiser by purchasing a few extra items with their regular groceries. Nearly ever person approached said they would, and most came out with bags of food and were happy to do so. A few people offered money instead which we accepted and our members purchased food on their behalf. Essex people have always been extremely generous, which makes our job easier. When thanked, one food donor said, “you know, I get to eat every day, but that is not true for everyone.” At 7:00 pm, we went to the Congregational Church in Old Saybrook to drop off, weigh, and help organize the food along with the food bank coordinator and other volunteers. The total amount of food collected was over1800 lbs. Although there may be other places (and warmer ones) we could have spent a few hours that evening, but no other place would have been as gratifying or rewarding. Thank you all. The next Stuff a Cruiser event will be December 13th from 3:30 to 7:00 at the Colonial Market. We hope to see you then. The conversation about suicide is also a conversation about mental health and well-beingThe statistics surrounding mental health disorders are formidable as well. Every year in the United States, 1 out of every 5 adults over the age of 18—or 45.6 million people—will experience a mental illness. Lifetime rates are even higher. Across a lifespan, 1 out of 2 people will suffer with a mental health problem at some point. So it is extremely likely we’ll encounter someone in our families, workplaces, schools, churches, or communities, who lives with a diagnosed mental disorder. Studies show the vast majority of people experiencing mental illness can be treated effectively and live full, satisfying lives, contributing positively in all the places they live, work and play. Yet nearly 60% of people with disorders do not seek mental health treatment. Of those who do seek treatment, even they typically delay doing so for a decade. Stigma can be a determining factor in preventing people from receiving the help they need. DEEP RIVER— The board of selectmen Tuesday formally disbanded the Town Hall Auditorium Committee after receiving a final report on the now completed restoration of the historic auditorium at town hall. The ten member committee was established in the fall of 2011, charged with completing a long-planned restoration of the second floor auditorium. The volunteer committee replaced the Deep River Town Hall Restoration Association, a private non-profit group that was first established in 1979 to direct restoration efforts for the 1892 town hall. The association had received over $260,000 in private donations over the years for town hall restoration, but had lagged in completing the final improvements to the auditorium, including fire and building code work that was required for full use of the auditorium balcony. Committee chairman Arthur Thompson presented the report, declaring the work of the restoration committee is now finished. 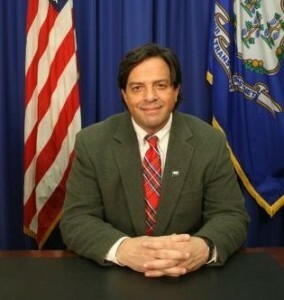 Thompson, while serving as a selectman from 2099 to 2011, had pushed for formation of an official town committee to focus on completing work on the town hall auditorium. Thompson said the restoration work was completed earlier this year using the funds that had been donated to the previous restoration association. The committee held a community event in May to showcase the restoration, and the auditorium has been used for various programs and activities in subsequent months. Thompson said the auditorium now meets all applicable safety codes. Thomson said the committee completed the restoration work using all but $2,863 of the available funding. The committee recommended the remaining funds be turned over to a newly former Town Hall Auditorium Management Committee that is now coordinating public use of the auditorium. In other business the selectman appointed Lauri Wichtowski to the Region 4 Board of Education to fill a vacancy created by the resignation of board member Duane Gates that was effective Tuesday. Wichtowski will serve through the 2015 municipal election, when the position will be on the ballot for the remaining two years of the unexpired term ending in 2017. Gates, a Democrat, was first elected to the regional board in 2005, and was re-elected to a second six-year term in 2011 in a contest with Wichtowski, who was running on the Republican line. First Selectman Richard Smith said the Deep River Democratic Town committee had recently endorsed Wichtowski to fill the two-year vacancy. She had served previously on the local school board that governs the operation of Deep River Elementary School. ESSEX— The zoning commission Monday gave quick special permit approval for an expansion of the Rite Aid pharmacy in to adjoining vacant space in the Bokum Center shopping plaza at 125 Westbrook Road. The approval came after a brief public hearing where no residents spoke either for or against the permit application from the Rhode Island-based pharmacy chain and Provident Bokum Holdings of Guilford, owner of the shopping plaza. 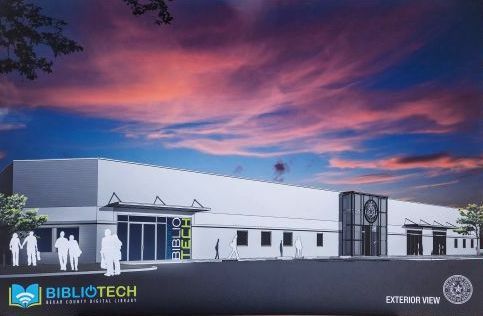 The lack of public comment was in sharp contrast to the response to a 2009 application for a new 14,673 square-foot pharmacy with a drive through that would have been constructed on the opposite side of Westbrook Road (Route 153) at the site of the Oliver’s Tavern restaurant building. In 2009, there was more than four hours of comment at two public hearings from residents from residents who objected to the claimed “big box” size of the pharmacy and the traffic impact of the larger separate store. In early 2010, the commission denied the permit application, citing concerns for pedestrian and vehicle safety at the busy three-way intersection of Westbrook, Plains, and Bokum roads. The permit denial was upheld after a court appeal. The new plan would expand the existing 7,649 square-foot pharmacy in to 1,824 square-feet of abutting space that was previously occupied by a martial arts center. The plan for a total 9,427 square-foot Rite Aid would not change the existing entrance, but would upgrade the existing sales area while adding a new waiting consultation area, handicapped accessible restrooms, and an employee lounge. The only issue for discussion at the public hearing and following commission discussion was parking. The shopping plaza that was built in the 1980s currently has 118 parking spaces. The panel determined that only 10 additional spaces would be needed for the pharmacy expansion, with the spaces to be provided by striping a reserve parking area on the south side of the block of storefronts. Striping of the back parking area was the only major condition imposed with the unanimous permit approval. Nicole Prévost Logan in Paris. The pressure of immigration into Europe is growing. Thousands of immigrants are seeking refugee status for economic or political reasons. The television showed an incredible scene of young men climbing over barbed wire like swarms of insects, falling down, being shot, to be followed by hundreds more. It was not a scene from the July 2013 Brad Pitt’s science fiction film “World War Z,” but of the electrified fence erected by the Spanish government to protect its borders from African migrants. Other walls exist around Europe. The next one will run along the Bulgarian-Turkish border. The tragic drowning of 300 people near the Italian island of Lampedusa in October shocked the European opinion. The problem of immigration, if studied case by case, and not in terms of statistics, triggers strong emotions. It was also the theme of “Welcome,” a 2009 French movie . A well-educated and determined 17-year-old boy from Kurdistan wants to join his girlfriend in England. For weeks he is stranded in an inhospitable refugee camp near Calais, in the north of France. During his first attempt at crossing the Channel hidden under a truck, he is caught by the police, almost asphyxiated by CO2 fumes, his head inside a plastic bag. His next plan is to swim across the English Channel. With the help of a compassionate coach, he learns how to do the crawl. At his first attempt, he is pulled out of the water by fishermen and brought back to France. He tries again, but, just in sight of the British coast, a police boat spots him. He drowns, while trying to escape. Western Europe represents an Eldorado for all these asylum seekers. By granting various allowances to the new migrants, France has become particularly attractive . But its social structure is becoming unable to absorb the ever growing numbers. This year there were 70,000 requests for asylum as compared to 60,000 in 2012. In October, the Affaire Leonarda (the case of Leonarda) illustrated the problems with the immigration policy in France and caused a political crisis. Leonarda is a 15-year- old daughter of a Kosovo national (Kosovo is located in the Balkan Peninsula of Southeastern Europe and recognized as a sovereign state by 106 member states of the United nations, though its status is still disputed.) After living in Italy for 17 years, with his Italian wife and seven other children, the man decided to move to France in 2009. Since then he has made four attempts to obtain refugee status, all of which were rejected. The work load of the French judicial courts make the process so slow that the family had plenty of time to settle in France and put the children in school. Time was on the side of Leonarda’s family given the rules on naturalizations: children born in France of foreign parents become French automatically at age 18 after spending five years in France. In mid October, as Leonarda was getting off the school bus, the police arrested her and sent her back to Kossovo with the rest of the family. The public opinion reacted in a fury, blaming the Socialist government of breaking the sacred rule of non-violation of the schools. To the surprise of many, President Francois Hollande was the one to address the nation on TV. He started by saying that the police had broken no law in arresting Leonarda, nor used any violence. Then, during the last two minutes of his speech, in an unexpected switch, he concluded that, because of humanitarian considerations, he would let Leonarda return to France, but alone – an impossible situation for a 15-year old. His position satisfied almost no one. CHESTER— After a Nov. 20 town meeting that resulted in no votes, the board of selectmen will discuss the revisions to the town plan of conservation and development requested by the Aaron Manor Nursing and Rehabilitation Center at its next meeting on Dec. 3. The requested revisions to the 2009 plan, which would give the nursing facility the option of connecting to the municipal sewer system, were the subject of a town meeting last week. First Selectman Edmund Meehan said the resolution for the town meeting did not call for a vote, and there were no attempts by residents at the meeting to move the issue to a vote. Meehan said about 25 residents turned out to spend about an hour discussing the requested revisions, with some residents contending the revisions would open the door to unwanted development along Route 148 while others said the town should give the tax-paying facility the option of connecting to the system if necessary. 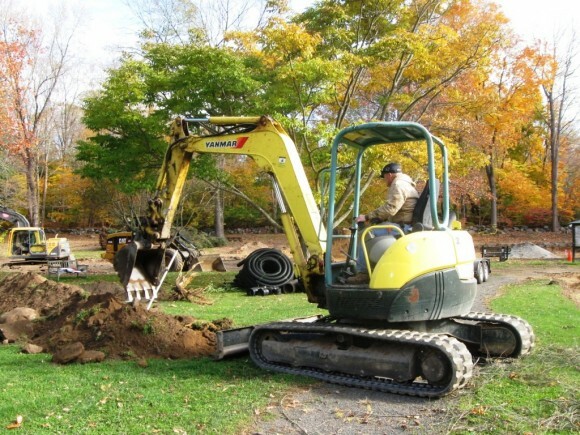 Aaron Manor, located off Route 148 at the Route 9 Exit 6 interchange, has been under order from the state Department of Energy and Environmental Protection to upgrade and replace the septic system serving the facility. Aaron Manor requested the revisions to the town plan after the inland-wetlands commission earlier this year asked facility representatives to explore the option of connecting to the sewer system that serves the downtown village before pursuing a permit application for a new and more elaborate on site system. Both options, a new on-site system or connecting to the municipal system, are costly and no decisions have been made on which option Aaron Manor should pursue. The planning and zoning commission, which must approve any revisions to the town plan, opened a public hearing on the issue in September, but later accepted Meehan’s contention that a town meeting discussion should precede any formal public hearing before the commission. The panel agreed to open a new formal public hearing on Dec. 12, after the town meeting. Meehan, a former longtime town planner for Newington, said last week he would offer his own suggestions on the proposed revisions when the board of selectmen discuss the issue on Dec. 3. Meehan said he would urge the planning and zoning commission to “keep our options open,” by approving the revisions. Meehan noted the municipal system, which was expanded in 2008 and sends wastewater to the treatment plant on Winter Avenue in Deep River, has the capacity to accommodate some further expansion. He noted that if Aaron Manor were to pursue a connection along Route 148 at no cost to the town, the planning and zoning commission would always have the authority to limit development and density for properties along the expanded sewer line. Any recommendations developed by the full board of selectmen at the Dec. 3 meeting would be presented to the planning and zoning commission at the Dec. 12 public hearing, along with a record of the Nov. 20 town meeting discussion. CT’s leading environmental watchdog organization releases 2013 Environmental Scorecard – awards State Representative Philip Miller (D – Chester, Deep River, Essex and Haddam) with the 2013 CTLCV Champions Award for his work on environmental issues in Connecticut. The Connecticut League of Conservation Voters released their 2013 Environmental Scorecard for the Connecticut State Legislature. The 14th annual release of such scores was bolstered by the 20 or so environmental bills that passed through the Connecticut General Assembly this year, providing an expanded base for scoring. The Connecticut League of Conservation Voters works to pass pro-environment laws, elect pro-environment candidates, and hold all of our elected officials accountable. CTLCV Scorecards dating back to 2000 can be found online at www.ctlcv.org/scorecard. DEEP RIVER— The planning and zoning commission Thursday opened the public hearing on the proposed relocation of Dunkin Donuts to a vacant building at 246 Main St., with the location of the trash dumpster for the store emerging as a major issue during the hearing. About 30 residents turned out for the public hearing on a special permit application to relocate Dunkin Donuts from 190 Main St., where it has operated since 2009, to a vacant commercial building at 246 Main Street. The applicant. Great American Donut Co. of Plainville, is expected to purchase the property if the relocation wins zoning approval. The building, formerly a garage and later an Irish gifts shop, has been mostly vacant for several years on a triangular-shaped parcel that has frontage on both Main Street and Union Street..
Stuart Fairbank, engineer for the project with the Old Saybrook firm Mcdonald/Sharpe Associates, said the relocation would bring “a facelift,” to the vacant building and surrounding 19,400 square-foot parcel. Fairbank said Dunkin Donuts would occupy 1.600 square-feet on the east, or Main Street side, of the total 3,240 square-foot building, with the western half of the building reserved for an unspecified retail use. While nearly all of the parcel is currently paved, Fairbanks said about 3,000 square-feet of paving would be removed and replaced by grass and landscaped plantings, with only one existing tree to be removed as part of the site improvements. While some residents speaking during the public hearing expressed general opposition to having a Dunkin Donuts on the site, most speakers focused on specific elements for of the site plan for a parcel that many described as the southern “gateway” to the downtown area. Much of the discussion focused on the location for the trash dumpster for the franchise. After preliminary discussions with the commission and the town advisory design review board, the current plan calls for locating the dumpster behind fencing at the southern end of the parcel, which is also the apex for the two streets. John Cunningham, a Madison landscape architect retained by the applicants, said plantings with “seasonal color” would “soften,” but not completely obscure the fenced area with the dumpster. Most speakers, including design review board members Peter Howard and Alan Paradis, objected to locating the dumpster at the front of the property. But Jonathan Rapp, who owns the abutting property on the north side of the parcel, said he would object to locating the dumpster behind the existing building and closer to his residential property. There were also questions about exactly what type of business would locate in the open space on the Union Street side of the building. Fairbank said the applicants are open to guidance from the commission on where to locate the trash dumpster. The commission closed the public hearing and is expected to discuss the application at its Dec. 19 meeting. 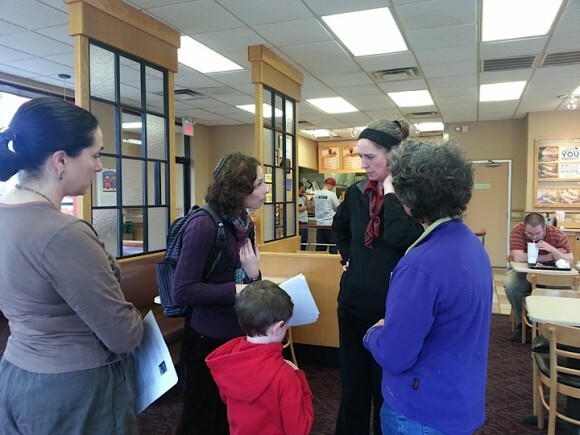 On Sunday, November 10, Congregation Beth Shalom Rodfe Zedek (CBSRZ) members and their children took action at Wendy’s, located in Guilford, to call on the restaurant chain to support human rights in its tomato supply chain by joining the internationally-recognized Fair Food Program (FFP). The FFP is a groundbreaking social responsibility program that ensures a humane workplace and increased pay for over 30,000 Florida farmworkers and has won the praise of human rights observers from the White House to the United Nations. ­­Coinciding with Wendy’s Founder’s Week – a week-long celebration of Wendy’s Founder Dave Thomas’s core values – the action is part of a series of protests in dozens of cities nationwide this week. On Saturday, CBSRZ Religious School parents and their children learned about the problem of abuse and even modern-day slavery conditions in the tomato industry. 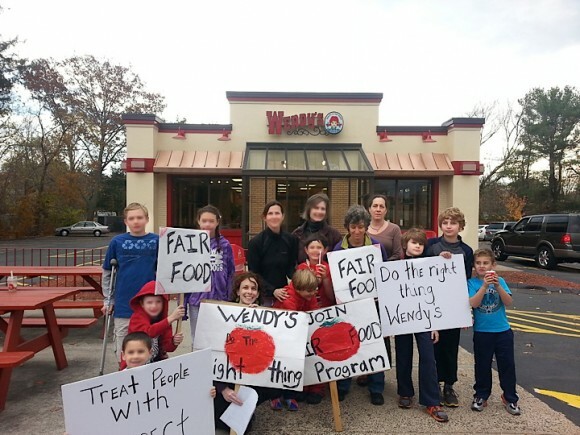 Then, on Sunday afternoon, eighteen CBSRZ members delivered dozens of letters to the manager of the Wendy’s in Guilford, urging Wendy’s to sign on to the Fair Food Program. Of the five largest fast food corporations in the country — McDonald’s, Subway, Burger King, Taco Bell (Yum! Brands) and Wendy’s — Wendy’s is the only one not participating in the Fair Food Program. Wendy’s CEO Emil Brolick was the President of Taco Bell in 2005 when that chain became the first to sign a Fair Food Agreement. He announced that agreement by stating, “We are willing to play a leadership role within our industry to be part of the solution,” and added, “We hope others in the restaurant industry and supermarket retail trade will follow our leadership.” Eight years later, despite those words, and now with 11 corporations and 90% of the Florida tomato industry on board, Wendy’s under Brolick’s leadership refuses to participate in the Program. The Coalition of Immokalee Workers’ Fair Food Program is an historic partnership among farmworkers, Florida tomato growers, and eleven leading food corporations. By committing to the FFP, participating corporations demand more humane labor standards from their Florida tomato suppliers and purchase exclusively from those who meet those higher standards, among them required time clocks, health and safety protections, and a zero tolerance policy for slavery and sexual assault. Participating corporations also pay a “penny-per-pound” premium which is passed down through the company’s supply chain and paid out to workers by their employers. The FFP was heralded in the Washington Post as “one of the great human rights success stories of our day” and in a White House report concerning global efforts to combat human trafficking as “one of the most successful and innovative programs” to that end. Since 2011, buyers have paid over $11 million through the Fair Food Program. Literacy Volunteers Valley Shore (LVVS) is looking for friendly, outgoing people to populate our fundraising committee. If you are a creative thinker and can commit to a minimum 1 yr service, we need you to develop and facilitate a schedule of events. LVVS serves 11 CT Valley Shore towns through one-on-one tutoring programs of English as a Second Language (ESL) and Basic Reading (BR). Fundraisers benefit these much needed programs. Contact us at vsliteracy.org or 860-399-0280. ESSEX— Voters at a town meeting Wednesday approved a $200,000 purchase of the .65-acre back section of the Perry property at 27 West Avenue on a 34-30 show of hands vote. The small parcel abuts the town hall property and Grove Street Park. It was the location of the parcel that led First Selectman Norman Needleman to support the land purchase. The parcel, which includes a historic house on the front section, was owned by Eileen Perry, a longtime resident who died in June. The entire parcel was assessed at $623,000 on the current grand list. Needleman negotiated the purchase price with members of the Perry family, insisting that the town receive full ownership of the back section, with the house to be sold separately. Needleman said the purchase was “a one of a kind opportunity,” to acquire some of the last remaining open land abutting the town hall property. “It’s an opportunity for the future,” he said, adding the town has no immediate plans for use of the property. But Needleman suggested the parcel could eventually become the site of a town hall annex building at some undetermined date in the future. Needleman said $200,000 was “a fair price,” for the .65 acre, noting that a permanent easement on the parcel had been valued at that amount by an appraiser hired by the Perry family. He said town acquisition of the parcel would result in a loss of only $470 in annual tax revenue at the current tax rate. The purchase was also endorsed by newly seated Republican Selectman Bruce Glowac, who agreed the key location made the land an asset for the future. Along with abutting the town hall site, the parcel also abuts to the east the Pratt House property that is owned by the Essex Historical Society. “This land would enhance the town property even if it remained as open space,” Glowac said. The land purchase was endorsed by the board of finance at an Oct. 17 meeting, though the finance board made no immediate determination on how to pay the $200,000 purchase price. Needleman said the $200,000 could be taken from the town’s undesignated fund balance, which now totals over $2 million, or be included as part of a bond issue for capital projects that is planned in 2014. The prospect of a bond authorization request for numerous town projects next year led some residents to question the need for spending money for a property purchase now, while others contended the town should not buy land without an immediate plan to utilize it. But others maintained it made sense to acquire the land now as a future asset for the town. After about 70 minutes of discussion at a public hearing that preceded the town meeting, the expenditure and land purchase was approved on a 34-30 vote. Voters at the town meeting rejected a motion to hold a paper ballot vote, with the vote done by a show of hands. 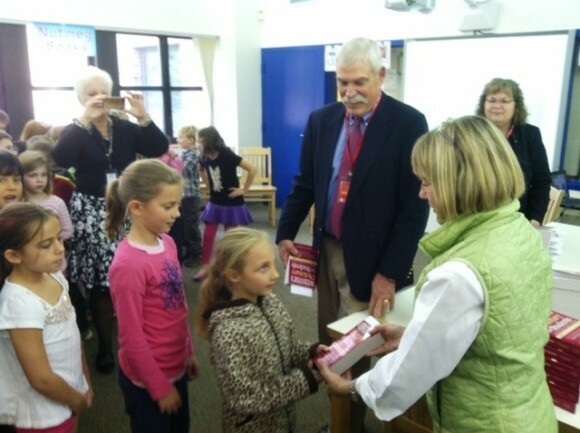 Students in grade 3 at Chester Elementary School received their very own Webster Dictionary on October 16th. One of the Rotary Club’s goals is to promote literacy, and each year they fulfill that goal by donating a dictionary to each third grader at CES. Rotary Club members met with the students during an assembly which concluded with a Vocabulary Quiz Show game. The assembly was held on October 16th, which is Noah Webster’s birthday. Todd Curry has been a resident of Deep River for over twenty years and is a veteran of the US Army and a retired Madison Police Officer with 22 years of service. 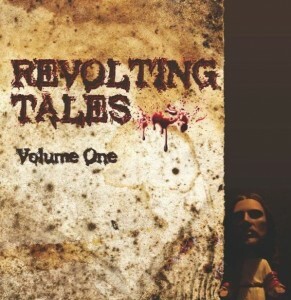 He recently wrote and published a book of short horror/thriller stories (“Revolting Tales“) which is widely available and a book signing tour is planned. Concerned that the local American Legion branch had insufficient funds to purchase American flags to place at the grave sites of fallen soldiers, Curry and his co-author decided to donate a portion of their profits to the Chester American Legion Local 97 in order to assist them with the purchase of flags. The American Legion place flags by the graves of fallen soldiers twice a year, on Flag Day and Veterans Day. The Nature Conservancy is coordinating deer hunts at its Selden Creek Preserve in Lyme and Burnham Brook Preserve in East Haddam during the firearms deer hunting season. The goal of the hunts is to reduce the negative impacts of forest overbrowse in these important habitats. Hunting will begin Wednesday, Nov. 20 and last through Tuesday, Dec. 31; Burnham Brook Preserve will be closed to public access during that period. The hunt at Selden Creek Preserve in Lyme will take place during the same timeframe; however, the preserve will not be closed because the hunting area is safely separated from the part of the preserve with public trails. Safety for the hunters and neighbors of the preserves is a top priority for the Conservancy. Signs will be posted at Burnham Brook Preserve informing visitors the preserve is closed during the hunting season, and neighbors have been notified that hunting will take place. At both preserves, the hunters involved have been hunting together for many years and have hunted on the land before. The Nature Conservancy maintains that managed hunting is an effective tool that can reduce deer populations and curb the damage they cause, allowing native natural communities, plants and trees to recover their full vigor and diversity. After several years of hunting, encouraging signs are appearing. At Burnham Brook, overbrowsing impacts forest regeneration, wildflowers and the shrub layer. This not only affects the health of the forest but also the animals that depend on it. Birds that nest and feed on or near the ground have lost the groundcover necessary for protection from predators as well as sources of food. The Nature Conservancy is the leading conservation organization working around the world to conserve the lands and waters on which all life depends. The Conservancy and its more than 1 million members have protected nearly 120 million acres worldwide. In spite of lively street scenes in Paris, crowds strolling in the Tuileries gardens, restaurant terraces full of people enjoying a copious lunch and long lines at museums and movie theaters, the ongoing austerity measures imposed by the Socialist government contribute to a morose mood in France . In the past two years, new taxes have multiplied. More people have to file income taxes, some retirees are struggling to survive on their pensions, the Taxe sur la Valeur Ajoutée (TVA – the equivalent of sales tax in the US) on restaurants — after being lowered — is going up again to reach 10% next January. Corporate taxes have also increased. The population was encouraged to invest its savings into special accounts. Promises of a guaranteed interest of 3 percent on these savings accounts have gradually vanished. It is today below 1 percent. The northwest region of Brittany is in in uproar following a new “eco-tax” imposed on truckers, fishermen and farmers. A tax of 75 percent on annual incomes higher than one million will hit particularly the stars soccer players, who threatened to go on strike for one week-end in November. When one knows how fanatic the public here is about its soccer matches, one might expect violent scenes. The TV series called “A Village Français,” now in its third season, continues to enjoy top ratings. It shows how the average French people behaved during the German occupation. It depicts the whole spectrum of the population, ranging from despicable collaborators to courageous “resistants” with — in between — the vast majority just trying to survive and protect their families. The show is done with honesty, avoiding black and white judgments. By 1943 the French became more daring , as their spirits were lifted by the London broadcasts. This is a great idea: for a small fee, courses in the English language are offered to the passengers riding the Train à Grande Vitesse (TGV – high speed train) from Rheims to Paris – a facility to be extended to other railroad lines. ESSEX— Voters at the annual town meeting Monday will be asked to confirm 22 appointments to town boards and commissions, and accept the annual town report for the 20-12-2013 fiscal year. The meeting convenes at 7 p.m. in the auditorium at town hall. Nearly all of the appointments are reappointments. of current board and commission members. Most of the appointments are for two or three year terms, with all of the appointments approved by the board of selectmen at a Nov. 6 meeting. The appointments include Jim Hill for the zoning commission, with Jeffrey Lovelace as zoning commission alternate and Michael Neto for zoning board of appeals. Appointments for the inland-wetlands commission are Daniel Lapman, Charles Corson and Stephen Knauth. Appointments for the planning commission are Alan Kerr, with a new appointment of John Ackerman as planning commission alternate. Appointments for the economic development commission are Lon Seidman, David Sousa, and Elizabeth D’Amico. Appointments for the harbor management commission are Jeff Going and Joseph Zaraschi. Appointments for the park and recreation commission are James Rawn and Thomas Clerkin, with Edward Burleson as commission alternate. Appointments to the combined sanitary waste commission/water pollution control authority are Susan Malan, Randel Osborne, Leigh Rankin, Mark Reeves, and Robert Van Houten, with Alvin Wolfgram as an alternate member for the two commissions. CHESTER— Voters will be asked at a town meeting Wednesday to offer input on proposed revisions to the town plan of conservation and development that would give the Aaron Manor Nursing and Rehabilitation Center the option of connecting to the municipal sewer system that serves the downtown village area. The meeting convenes at 7:30 p.m. in the meeting room at town hall. The town meeting was scheduled after lawyers for the town and the planning and zoning commission concurred with First Selectman Edmund Meehan’s contention that a town meeting was required as the commission considers the Aaron Manor request for revisions to the town plan. The commission opened a public hearing on the request in September, but last month agreed to convene a new public hearing on Dec. 12 to consider any input provided by a town meeting. The nursing facility off Route 148 has been under a state Department of Environmental Protection order to upgrade the septic system that serves the facility. The town’s inland-wetlands commission early this year asked representatives of Aaron Manor to explore the option of connecting to the municipal sewer system before pursuing a wetlands permit application for a new and larger on site wastewater treatment system. Both a new on-site system and a connection to the municipal system would be very costly, and no decisions have been made on how the nursing facility should proceed. A revision to the 2009 town plan would give Aaron Manor the option of pursuing a connection to the town sewer system. The call of the town meeting asks residents to “review and make comments to the Chester Planning and Zoning Commission” on the proposed town plan revisions requested by Aaron Manor. The resolution does not call for a vote, with the voters present at the town meeting having the option to decide whether to vote on a motion supporting or opposing the requested revisions. If a town meeting vote is held opposing the revisions, it would require a two-thirds vote of the nine member commission to approve any revisions. Voters at the town meeting will also be asked to amend the 1997 ordinance establishing an economic development commission to reduce membership of the panel from seven to five members. The appointed commission has been having some difficulty in recent months mustering the required four member quorum for meetings. ESSEX— The board of selectmen decided last week to work for an expedited replacement of the Walnut Street bridge in the Ivoryton section, with the bridge replacement to proceed separately from a planned 2014 bond issue that would fund several major town capital improvement projects. The board agreed to work for separate and quicker action on the bridge replacement after First Selectman Norman Needleman reported that a recent inspection by state Department of Transportation engineers had detected new and more serious problems with the bridge. The inspection has led to imposition of a 10–ton weight limit for the bridge that will require detours for some heavier vehicles. “That bridge needs to be done now,” Needleman said. The bridge was constructed in 1983 with Federal Emergency Management Agency funding after the June 1982 Ivoryton Flood destroyed the previous bridge that carried Walnut Street over the Falls River. It was intended to be a temporary bridge, with a life-span of five to ten years, but has now been in use for 30 years. The project is expected to be eligible for up to 80 percent state/federal funding cost reimbursement under the Local Bridge Program. Selectmen had originally planned to include the Walnut Street bridge on the list of capital projects, including replacement of sections of the Essex Elementary School roof, that would be presented as part of a proposed bonding authorization for capital projects. But the proposed bond authorization is not expected to go to the voters for approval until early summer of 2014, with the board deciding to pursue the Walnut Street bridge project under a separate, and hopefully faster, timetable. In other business, the selectmen agreed to return to it’s previous meeting schedule for 2014, with meetings to be held twice each month on the first Wednesday at 5 p.m., and the third Wednesday at 7 p.m. The board had experimented with a one meeting per month schedule beginning over the summer, but later decided that two meetings per month are needed. 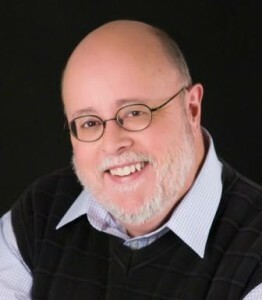 We are delighted to introduce a new columnist to ValleyNewsNow.com today. Nicole Prévost Logan divides her time between Essex and Paris, spending summers in the former and winters in the latter. She will write a regular column for us from her Paris home where her topics will include politics, economy, social unrest — mostly in France — but also in other European countries. She also will cover a variety of art exhibits and the performing arts in Europe. 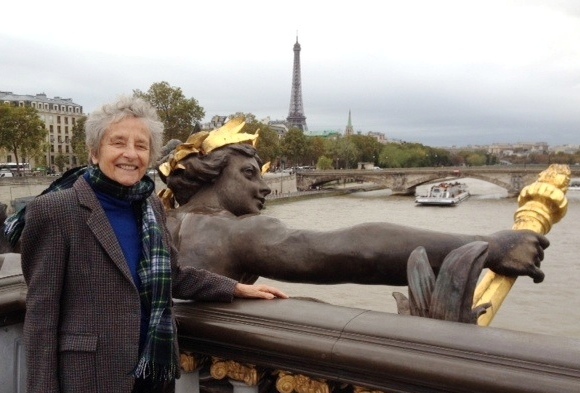 Logan is the author of Forever on the Road: A Franco-American Family’s thirty Years in the Foreign Service, an autobiography of her life as the wife of an overseas diplomat, who lived in 10 foreign countries on three continents. Her experiences during her foreign service life included being in Lebanon when civil war erupted, excavating a medieval city in Moscow and spending a week under house arrest in Guinea. The International Herald Tribune – so familiar to American expatriates in Europe – is no more. After 125 years of existence, the newspaper lost its name, to become the International New York Times , on October 15 of this year. The change marks the end of an era. Hemingway’s hero in The sun Also Rises read it and Jean Seberg, the journalist student in Jean Luc Goddard’s 1960 film Breathless, sold it on the Avenue des Champs Elysées. Sold in 160 countries, the newspaper stood out as the most international of any daily publications. Being printed in Paris, it was anchored in its local culture. But at the same time, for we Americans visiting or living in the French capital, it represented a life line to the home country. Over the years it became the property of the New York Times and later of the Washington Post, allowing its op-ed page to offer a wide spectrum of opinions across partisan lines. It was an entertaining paper to read. Some of us would go straight to the last page, looking for the crossword puzzles and the cartoons. The columns of humorist Art Buchwald were an institution. Syndicated in hundreds of newspapers, he had a special talent to make people laugh, particularly by poking fun at politicians. Every year at this time, the readers would look forward to the repeat of his column entitled “Merci Donnant” (literal translation of Thanksgiving). Now something else totally unthinkable to me has happened. A brand-new library has been built but with zero printed books. It’s filled with digital books– only e-books. Can you believe it? This isn’t a science-fiction fantasy. That e-library is a reality, here on this planet and now, with its doors open to the public as I write. It’s in Texas, in San Antonio, which is in Bexar County. It was designed and built just for this radically new purpose, so it’s futuristic looking, of course. Take a good look at the photo I’ve included. Tri-Town Youth Services Suicide Prevention Workgroup, in conjunction with a Suicide Prevention Mini-Grant for Towns, is installing three billboards, one each in Chester, Deep River and Essex, to create awareness of local and statewide efforts to prevent suicide. The billboards utilize the prize-winning “1 Word, 1 Voice, 1 Life” logo developed by the Connecticut Suicide Advisory Board whose priority areas include raising awareness of suicide prevention, developing a Statewide Network linking statewide and grass-roots local efforts, and promoting evidence-based practices for suicide prevention and response. While it is common for people to take a CPR course or learn the Heimlich Maneuver, especially those who regularly come in contact with the public, statistics show that we are “more likely to encounter a friend, family member, co-worker, neighbor or other community member in an emotional or mental health crisis than someone having a heart attack,” Onofrio continued. “The ‘1 Word, 1 Voice, 1 Life’ logo has a tag line: Be the 1 to start the conversation. It’s intended to encourage everyone to act if they see someone in distress; to start the conversation to get the distressed person the help that they need.” The billboard also promotes Connecticut’s 2-1-1 service which operates 24 hours a day, 365 days a year, where callers can reach knowledgeable, multilingual staff and get information, referrals or seek help in a crisis. Two trainings intended to build the capacity of community members to reach out to someone having an emotional or mental health crisis will be co sponsored by Tri-Town Youth Services for anyone living or working in the tri-town area. Mental Health First Aid, an 8-hour certification course offered on January 7th and January 14th from 8:30 a.m. to 1:30 p.m., trains participants to utilize a proven effective action plan to provide support to a person experiencing a mental health concern or crisis until professional help can be accessed. A QPR Gateway Training—consisting of three life-saving skills including how to question a person about suicide, persuade the person to get help and refer the person to the appropriate resource—will be offered at a brown bag lunch on January 16 from 12:00 noon to 1:30 p.m.
For more information about these trainings, or to register, contact Tri-Town Youth Services at 860-526-3600. REGION 4— Chris Riley, an Essex Democrat, was picked Thursday as the new chairman of the Region 4 Board of education. Riley succeeds Linda Hall, a Deep River Democrat who has held the key leadership position since 2009. Only five of the nine elected board members from Chester, Deep River, and Essex were present for the vote on electing officers Thursday evening. Riley, who had been serving as vice-chairman, was supported by the other members present, including Jennifer Clark of Essex, Laurie Tomlinson of Deep River, Ann Monaghan of Chester, and newly elected member Leigh Rankin of Essex. Absent were members Duane Gates of Deep River, Elaine Fitzgibbons and Mario Gioco of Chester, and newly elected member Jane Cavavaugh of Deep River. Monaghan, who was first elected at a December 2011 Chester town meeting to fill a vacancy term, was picked for vice-chairman, with Clark named as board secretary and Gioco continuing in the treasurer position. Riley, who works as director of media relations for Citizens Bank, was elected to fill a vacancy in 2009, and re-elected with support from both political parties for a full six-year term in 2001. He currently has two children attending Essex Elementary School. Riley, in brief remarks after the vote, said he would do his best “to listen and learn,” from other board members and school staff while serving as chairman. “We have a wonderful school system and if we continue to work together we can make it go forward,” he said. In other business, the board approved a new four-year labor contract for secretaries and school nurses at Valley Regional High School and John Winthrop Middle School. The eight secretaries and two nurses are represented by Local 1303-419 of the American Federation of State County and Municipal Employees. The four-year contract, running from July 1 to June 30,2017,provides a total 9.25 percent pay increase over the four years, including increases of 3.1 percent in the current year, 2 percent in 2014-2015 and 2015-2016, and 2.25 percent in the final year. The contract includes a change in retirement plans for employees hired after July 1. New employees will be offered a 403(b) deferred compensation plan, where the school district will match employees up to five percent of base pay. Current employees will be allowed to remain in the Connecticut Municipal Employees Retirement Fund. The agreement also includes gradual increases in co-pays for employee health insurance. ESSEX— A proposed anti-blight ordinance drew a mixed response from the crowd at a public hearing Wednesday, with the board of selectmen now facing a decision on how to proceed with the ordinance. About 80 residents filled the auditorium at town hall for the hearing, providing the selectmen with nearly two hours of public comment on the ordinance. 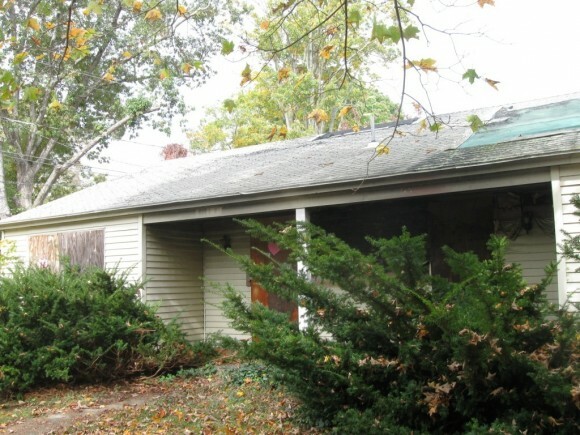 The ordinance drafted by town attorney David Royston, with some instructions from First Selectman Norman Needleman, defines blight conditions on properties, and provides for the establishment of a three-member appointed anti-blight board to receive and review complaints. But the draft ordinance would require that a residential property be vacant and unoccupied for at least 30 days to trigger town enforcement action for blight conditions. In the event of a continuing violation, the ordinance would allow the town to impose fines and take action to remediate blight conditions while billing the property owner or imposing a tax lien on the property to recover the cost of any clean up expense. But several residents expressed support for a stricter ordinance that would not use vacancy as a trigger for enforcement, with much of the comment focusing on handful of confirmed blighted structures in town that include 63 North Main St., 2 Prospect St., and an abandoned structure on Route 153 south of the intersection with Mares Hill Road. William Reichenbach, who lives near the North Main St. property, said vacancy should not be the only trigger for enforcement action. “A house is blighted or it is not blighted whether someone is living in it or not,” he said. Reichenbach and others contended blighted properties quickly reduce property values for homes in the surrounding neighborhood. Several residents urged Needleman to use existing public health, fire safety, and building codes to pursue enforcement action against blighted structures. Needleman said the town is taking action on certain properties, with former Building Official Keith Nolin issuing demolition orders for two structures before he retired from the job last month. Needleman said acting Building Official David Deleeuw would be conducting new inspections in the coming days at some properties based on complaints filed with the town. Other residents contended a blight ordinance may be unnecessary if the town pursues aggressive enforcement action on other code violations. Some residents said the proposed ordinance is “an overreach” that could expose the town to additional legal expenses, and problems recovering the costs incurred in taking action to remediate blighted properties. 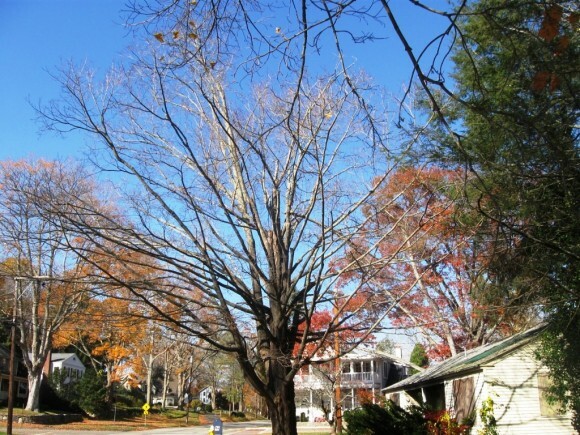 Needleman advised the crowd the board of selectmen may not take any immediate action on a blight ordinance because the General Assembly is expected to consider proposed statewide anti-blight standards in the 2014 legislative session that begins in February. The board of selectmen is expected to discuss the input received at the public hearing at an upcoming meeting. When the discussion resumes, there will be a new member of the board of selectmen. New Republican Selectman Bruce Glowac, who served previously as first selectman from 1991-1995, will take office on Tuesday. Glowac was present for the hearing Wednesday. The parking lot, which abuts the rear entrance of Town Hall, will receive a final, top coat of asphalt on Friday, November 8, or Saturday, November 9, depending on the weather. After the final coat of asphalt has been put in place, the parking lot will be re-lined for general parking and for handicap parking. The new tennis courts, located behind the town parking lot, are still a work in progress. Presently, new subsurface materials are being brought in, and being compacted and graded. Also, a new drainage system is being installed, and a new asphalt surface will be put in place as a final step. In addition, the new tennis courts will have brand new fencing. To conform to the accepted installation practices, new tennis courts should not be painted after October 1. Therefore, the expected date, as to when new courts will be ready for play, will not be until late April, or even early May, of 2014. 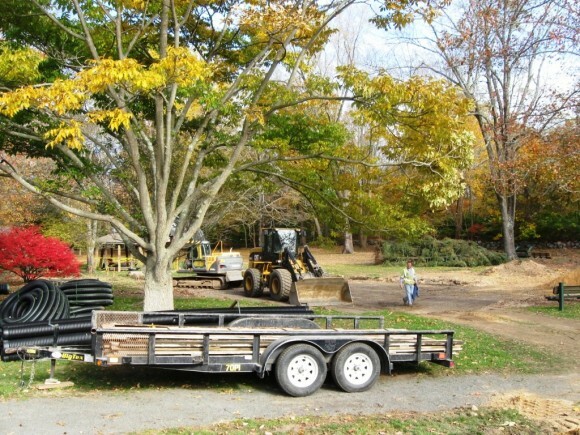 A certified installer of the Landscape Structures product line has been retained, and under its direction site preparation and the installation of the borders of the new playground has begun. When complete, the new playground will have: 1) a new, two to five year old, play section, and 2) a new, five to twelve year old play section. Also, the finished playground will feature a crawl tunnel, a balancing beam, a climbing boulder, a Supernova spinner and a springing up and down, and back and forth, riding structure. Active work on the playground is presently underway, and the playground should be completed by the end of November, or early December. All of the estimates of work completion noted above are dependent on weather conditions and any necessary changes that the work requires. The total dollar amount of the STEEP grant to the Town of Essex for these improvements is $471,500. The leaves of autumn are a progression. 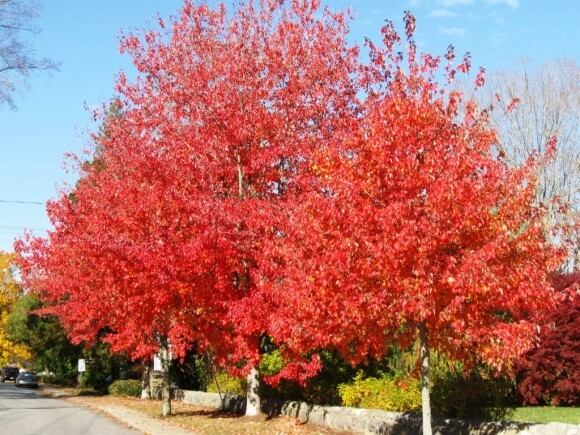 They go from splendid color to the skeletal forms of leafless branches. 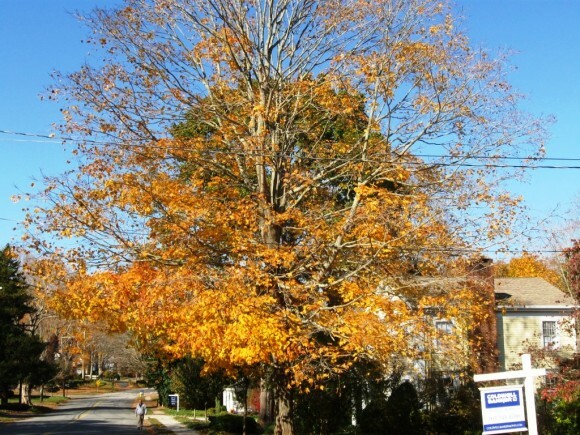 Here, is what this progression looks like, courtesy of the trees on North Main Street in Essex. DEEP RIVER— Democrats won contested board of finance and region 4 Board of education Seats in Tuesday’s town election where 24-year Democratic First Selectman Richard Smith ran unopposed for a record 13th term. Democrats Russell Marth, a former selectman, and incumbent Lori Guerette outpolled Republican candidates John Wichtowski and douglas Nagan to win full six-year term seats on the finance board. The vote was Marth-564, Guerette-524, Wichtowski-383, and Nagan-364. Appointed incumbent Democrat Carmella Balducci was uncontested with 721 votes for a two-year vacancy term on the finance board. Democrat Jane Cavanaugh won a full-six-year term seat on the region 4 Board of Education, outpolling Republican James Olson on a vote of 494-429. Democrat Mark Reyher won the only other contested position on the ballot, outpolling Republican Douglas Dopp for a seat on the board of assessment appeals, 537-351. Smith received 811 votes for first selectman in the third consecutive town election where the longtime incumbent has run unopposed. Democratic Selectman Angus McDonald was elected to a second term with 554 votes. Republican Selectman David Oliveria was re-elected to a third term on the board with 368 votes. Incumbents were unopposed for three other paid town positions, with Republican Town Clerk Amy Winchell winning a third term with 709 votes, Democratic Tax Collector Lisa Bibbiani winning a third term with 777 votes, and longtime Republican Town Treasurer Thomas Lindner winning a new term with 727 votes. All four candidates were elected to serve on the local board of education that supervises the operation of Deep River Elementary School. They are Democrats Hadley Kornacki-469 and Augusta Ferretti-471, along with Republicans Nelle Andrews-401 and Michelle Grow-414. All three candidates were elected for the library board of trustees, including Democrats Michelle Emfinger-631 and Roy Jefferson-696, and Republican Patricia Unan-505. ESSEX— Democrats won two seats on the board of finance Tuesday in the only contests for a town election where incumbent Democratic First Selectman Norman Needleman was unopposed for a second term. Incumbent Campbell Hudson and Mary Louise Pollo, both Democrats, outpolled Republican candidates Peter Decker and James Palegonia to win full six-year terms seats on the board. The vote was Hduson, 957, Pollo-914, Decker-717, Palegonia-706. Needleman was re-elected for a second two-year term, receiving 1,247 votes on the Democratic line. The other two seats on the board of finance were also uncontested, though Republican Bruce Glowac outpolled incumbent Democratic Selectwoman Stacia Libby, with 848 votes for Glowac and 784 votes for Libby. Glowac, who served previously as first selectman from 1991-1995, replaces two-term Republican Joel Marzi in the minority party seat on the three-member board. Marzi was elected to the open position of town clerk with support from both political parties, receiving 721 votes on the Republican line and 841 votes on the Democratic line for a total 1,562 votes. Incumbent Democratic Tax collector Megan Haskins was re-elected, receiving 674 votes on the Republican line and 905 votes on the Democratic line for a total 1,579 votes. Democrat Jim Francis, the current chairman of the board of finance, was elected to the open position of town treasurer with 1,192 votes on the Democratic line. Both candidates were elected to the Essex Board of Education that supervises the operation of Essex Elementary School. Incumbent republican Adam Conrad had 730 votes, with 872 votes for Democrat Carolyn Rotella. Incumbent Republican Coral Rawn was re-elected to the board of assessment appeals, with 706 votes ion the Republican line and 820 votes on the Democratic line for a total 1,526 votes. Leigh Rankin was elected to an open seat on the Region 4 Board of Education, with 706 votes on the Republican line and 847 votes on the Democratic line for a total 1,553 votes. 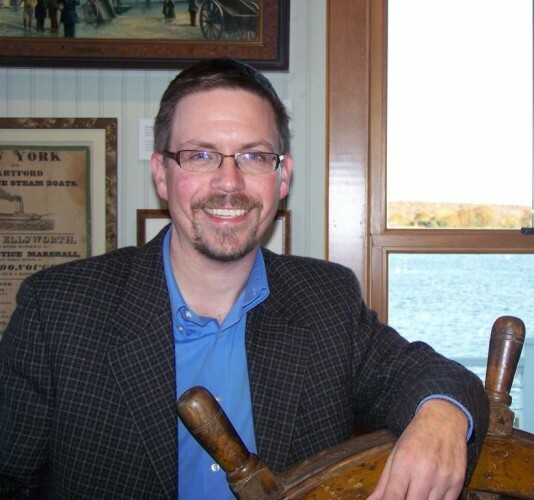 Chris Dobbs will take the helm as Executive Director of the Connecticut River Museum on November 18th. ESSEX, CT — Christopher I. Dobbs has been named Executive Director of the Connecticut River Museum. For the past nine years, Dobbs has been the Executive Director of the Noah Webster House and West Hartford Historical Society in West Hartford. During his tenure, Dobbs led efforts to restore the Webster House, which is a National Landmark building, and reinvigorate its exhibits. He also developed many innovative public programs, including “Tavern Nights”, “Webster’s War of the Words” a word game show featuring Connecticut celebrities, and “West Hartford Hauntings,” a popular historical program that was held in cemeteries. Under his leadership, the Webster House won several awards for its exhibits, and the museum received several significant grants. The museum’s attendance and its number of volunteers increased, and membership grew by 40 percent. Dobbs also helped lead a capital campaign that raised $1.2 million, 20 percent more than its goal. Dobbs, 42, has a bachelor’s degree in American history from Indiana University and a Master’s Degree in museum studies from the Cooperstown Graduate Program, which is a joint project of the State University College of New York and the New York Historical Society. He now serves on the board of the Cooperstown Alumni Association. Dobbs began his career in history museums as an intern when he was still in college in the mid-1990s. In 1998 he joined Mystic Seaport, where he served as Supervisor of Special Interpretative Programs, including the Lantern Light Tours, before being promoted to Associate Director of Education. For the past six years, he has also served as a Peer Advisor to museum and non-profit leaders for the Connecticut Department of Economic and Community Development, assisting non-profits around the state with strategic planning, development and program creation. In his spare time, Dobbs enjoys woodworking and recently restored an antique boat. 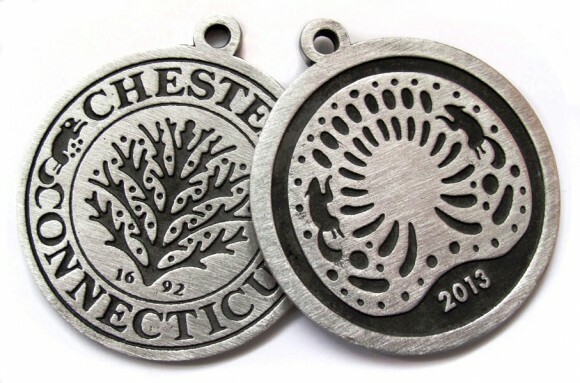 He is married to Jennifer White-Dobbs, Director of Education of the Connecticut River Museum. The couple has two children and they live in Deep River. ESSEX— Voters will be asked at a town meeting Wednesday to approve three preliminary resolutions for a planned building project at Essex Elementary School, and three additional appropriations that include $40,000 for a new boiler and heating system improvements at town hall. The meeting convenes at 4:45 p.m. in town hall. Voters will be asked to authorize the Essex Board of Education to accept any state funding available for a building project at the school that would include replacement of sections of the school roof. Two other resolutions confirm the board of selectmen appointment of a three-member 2013-2014 Capital Projects Building Committee, and authorize the town and the building committee to prepare preliminary schematic drawings for a school building project. Voters will be asked to approve a $40,000 expenditure to replace the aging oil boiler at town hall. The board of finance approved the appropriation last month, with a directive the funds should be transferred from the contingency fund in the current town budget. Voters will also be asked to approve two additional appropriations to cover overruns in the 2012-2013 fiscal year that concluded on June 30, including $30,700 for police services, and $57,148 for the highway department. Community Music School recently recognized longtime supporters at its 2013 CMS Champions Award Breakfast held at Water’s Edge Resort & Spa on October 30. Nearly 100 guests gathered to honor this year’s Champions, including: Pam and Gerard Ciccarello of Covenant Kitchens & Baths, Inc. in Westbrook; pianist and recital accompanist Susan Sweeney of Deep River; and proprietors of the Centerbrook Meetinghouse Herb Clark and Norman Needleman of Essex. Community Music School presents the Champions Awards annually to those who have supported the School and its mission over the past 30 years and who strive to improve our community through the arts. 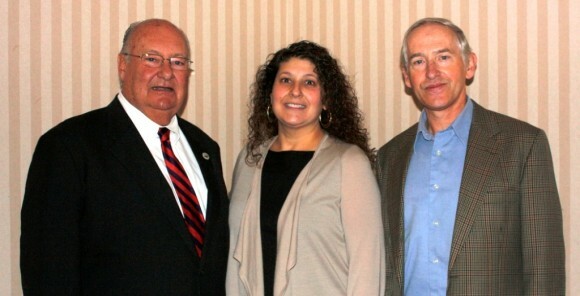 (l-r) Herb Clark, CMS Champion; Robin Andreoli, CMS executive director; Tom Briggs, CMS music director. Photo Credit Joan Levy Hepburn. The 2013 CMS Champions event was sponsored by Essex Financial Services, Essex Savings Bank, and Landscape Specialties. Since 1983, CMS has offered innovative music programming for infants through adults, creating a tradition of providing quality music instruction to residents of shoreline communities. The Music School offers financial assistance through a scholarship fund and provides arts education and music therapy outreach programs in the public schools and other community organizations. AREAWIDE-— The regular election polling places in Chester, Deep River, and Essex will be open Tuesday from 6 a.m. to 8 p.m. for the biannual town elections. But for the first time in the modern era all three first selectmen for the towns are running unopposed for new two-year terms. Other paid, full-time elections positions, such as town clerk and tax collector, are also uncontested in the towns. There have been uncontested first selectman races in each town over the past two decades. In Chester, former Democratic First Selectman Martin Heft ran unopposed in 1997, 1999 and 2003. In Deep River, 24-year Democratic First Selectman Richard Smith ran unopposed in 1995, 1999, 2009 and 2011 In Essex, former Democratic First Selectman Phil Miller was unopposed by town Republicans in 2007. This year the three incumbent Democrats, Smith in Deep River, Norman Needleman in Essex, and Edmund Meehan in Chester, are uncontested for new terms. Meehan, a former municipal planner, was elected first selectman of Chester in 2011. He will serve through November 2015 with the two incumbent selectmen, Democrat Larry Sypher, seeking a third term, and Republican Tom Englert, also seeking a third term. All of the other positions on the town’s lengthy ballot are uncontested. Voting is on the second floor of the town hall 203 Middlesex Avenue (Route 154). Smith is running unopposed for first selectman of Deep River for the third straight election. Incumbent Democratic Selectman Angus Mcdonald Jr. is seeking a second term, with incumbent Republican Selectman David Oliveria seeking a third term. There are contests for two full-term seats on the board of finance, with Democrats Russell Marth and incumbent Lori Guerette competing with Republican candidates John Wichtowski and Douglas Nagan. There is also a contest for the seat on the Region 4 Board of Education that has been held since 2001 by the current board chairwoman, Democrat Linda Hall. The candidates are Republican James Olson and Democrat Jane Cavanaugh. Voting is at the lower level of the Deep River Public Library. Needleman was elected first selectman of Essex in 2011 after serving on the board of selectmen since 2003. Incumbent Democratic Selectwoman Stacia Libby is seeking a second term, with Republican Bruce Glowac, who served as first selectmen from 1991-1995, is running for the third seat on the board. He will replace two-term Republican Selectman Joel Marzi, who is running for the open position of town clerk with support from both political parties. Democrat James Francis is uncontested for the open position of town treasurer. The only contests on the ballot are for two full-term seats on the board of finance. democrats Mary Louise Pollo and incumbent Campbell Hudson are competing with Republican candidates Peter Decker and Jim Palagonia. Voting is in the auditorium at town hall. 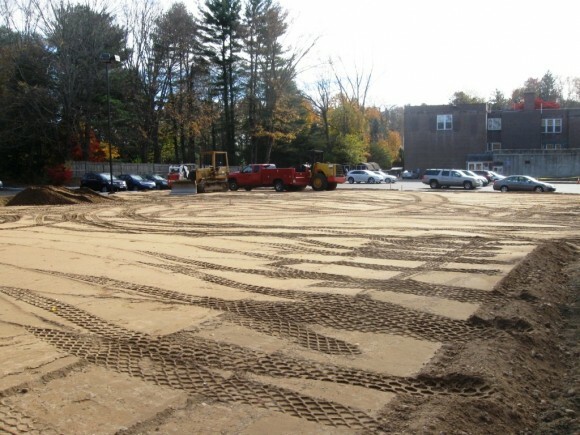 The town hall parking lot, which has been closed in recent weeks for repaving, is expected to be open Tuesday. Taking the shells into the water shortly after 7 a.m. 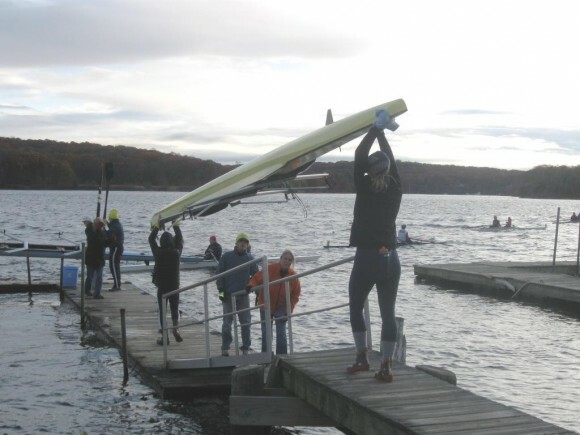 It was just too “doggone” rough on the Connecticut River last Sunday to hold the annual race of rowing shells (or sculls, if you prefer), sponsored by Essex’s Pettipaug Yacht Club. The river had a vicious chop, caused by a strong wind blowing down from the north, and a strong tide coming up from the south. It was a “perfect storm” scenario for swamping the competing rowing shells. After all, racing shells have only three inches of freeboard above the water line, and on Sunday the waves were up to five and six inches. Clearly, the river was an unsafe place for shells to be. Taking the shells out of the water shortly thereafter. In fact, some the boats that had gone out into the river before the start, where the wind was gusting up to 15 knots, were now coming back swamped to their gunnels. Race Director Paul Fuchs had had enough, and just before the scheduled eight o’clock start, he called off the race. The would be racers gather for a photo of the race that wasn’t. After all, John Kennedy, Chairman of Pettipaug Yacht Club’s Races and Regattas Committee, had taken out a U.S. Coast Guard permit to hold the race. Most certainly, this permit had been offered with the understanding that a permitted race should not go forward under unsafe conditions. 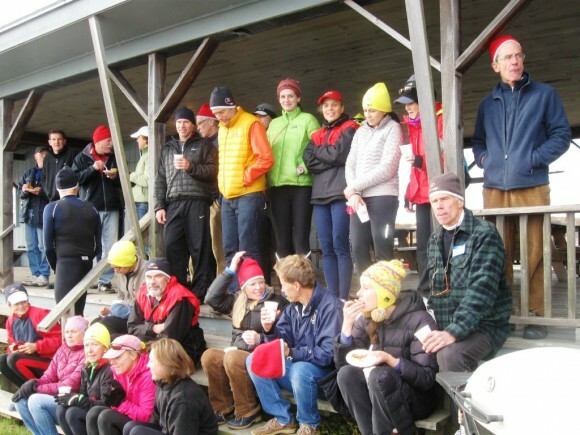 The cancelled regatta at the Pettipaug Yacht Club last Sunday was the last race of a series of races held by a regional shell racing organization. 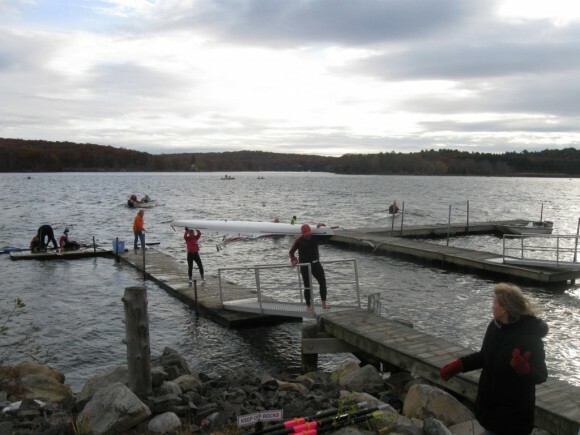 The organization has members from all over New England and Connecticut, including shell rowers from Boston, New Haven and New York. Thirty-three racing shells with their owners had shown up to participate in the canceled regatta last Sunday. If the race had gone forward, the crews would have rowed two kinds of shells: 1) a two-person shell of 34 feet in length, and 2) a one person shells of 27 feet. The larger two person shells, if they had raced, would have had been manned by all male crews, all female crews and mixed male and female crews. The smaller, one person shells had both men and women crews. When new, a 34 foot long, racing shell can cost as much as $18,000, and the 27 foot shell, as much as $13,000. As a footnote to the cancelled Sunday regatta, the Pettipaug Yacht Club had no less than eight, rescue powerboats in the water, ready to fish out swamped shells, if it had become necessary. As for the race course of the race that was not, it would have stretched over a ten miles. The race would have begun at a starting line, just off the Pettipaug Yacht Club. Then, it would have run north up the Connecticut River, before turning into Selden Creek. The course would have continued around Selden Island, and back into the river. To finish the competing shells would have rowed south down the river to the starting line, where the race began.